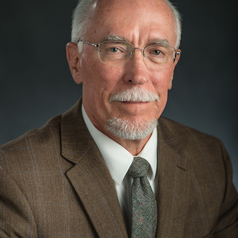 Dr. Tomlinson is Professor in the Department of Philosophy and the Center for Ethics and Humanities in the Life Sciences, where he serves as Director. He teaches health care ethics to medical students in the College of Human Medicine. He also teaches graduate courses in the Department of Philosophy, and mentors graduate doctoral students in that program. In addition to his teaching responsibilities, Dr. Tomlinson regularly speaks to professional and public audiences on a great variety of topics, including informed consent, advance directives, end-of-life decisions, organ donation, and others. He has published articles in both medical and bioethics journals and anthologies concerning the determination of death, the ethics of futility judgments, the use of biological samples in medical research, many other issues.